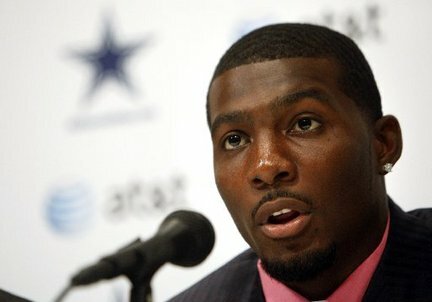 IRVING, Texas — While he has immense respect for Calvin Johnson, Dez Bryant isn’t willing to say that “Megatron” will be the best receiver at Ford Field when the Dallas Cowboys and Detroit Lions meet on Sunday. Bryant said Johnson’s run-after-catch ability and the way he attacks the ball in the air are especially impressive. However, asked what Johnson could do that he couldn’t, Bryant paused for several seconds before answering according to ESPN. “I believe I can do whatever he can do,” Bryant said. “I think it’s just a pride thing. When it comes to football, just being on the field, it’s a mindset and having a mentality. I honestly believe when I’m there, I’ll be feeling like there’s nothing I can’t do. Whatever the coaches ask me to do, I’m going to do it. Since Week 10 of last season, when Bryant began to emerge as an elite receiver, his 1,448 receiving yards rank behind only Johnson (1,689) and Houston’s Andre Johnson (1,620) in the NFL. Bryant’s 16 touchdown catches are the most in the league during that span, six ahead of Johnson, who is tied for fourth. Johnson set an NFL record with 1,964 yards for the Lions last season. Bryant said during the offseason that he believes he’s capable of becoming the first 2,000-yard receiver in NFL history, although his primary goal is to help the Cowboys make the playoffs.